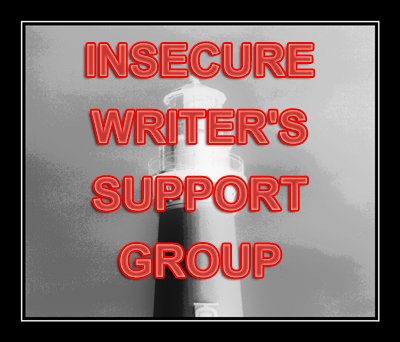 According to the purpose of the group: "Writers can express doubts and concerns without fear of appearing foolish or weak." After my FAFSA goof up yesterday, I am certainly feeling foolish. And, here's 2012 ... yay ... right? 1. What if my house is never clean? 2. What if I should just trash my current revision project, even though I love it? 3. What if my children need therapy and blame me for all of their problems? 4. What if I can never lose weight? 5. What if I can't master grammar rules? Or improve my plot designs? Again *sigh* ... really ... this doesn't make me appear foolish or weak? Well, if I resign to do something about those doubts and concerns, maybe not. 1. Hire a cleaning service and/or close doors to dirty rooms. 2. 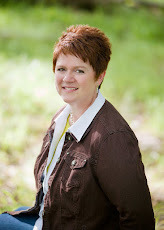 Try out new revision strategies on WIP and find new beta reader. 4. Eat more chocolate and wear bigger pajamas. 5. Read more books. Write more stories. YAY! 2012! A new year with new possibilites. I'm going to have to check out this site. I believe that I qualify for charter membership in the insecure writers' club. Subgroup: chocolate-based coping mechanisms. As long as the room near the front door is clean, it's all good, right? I seem to be able to write OR to keep things clean - never both. I like your style, Margo. I like the second part of solution one: Close doors to dirty rooms. We all have moments we feel foolish and weak. I had a lovely moment the other day. Just remember, you're allowed to have bad days where you feel cruddy, but you know what, that doesn't make you foolish or weak. I had a nice giggle. I used to write by closing the doors to messy rooms. But now, even when I think I don't have the time, I make it a priority. I've noticed my writing is much tidier and less clunky! Go figure! Margo, you have me cracking up. Yes, its 3 and 4, and both of these are addictions have you noticed? Yay Tonja! I liked your version, with keeping at least the front room clean, right? Amazing how us writers are all the same in such things at times. Well, if you figured too much sugar is cancer saying feed me. So one piece of chocolate, or one section of dark chocolate each day is actually beneficial to your health. Eat all you like, if its popcorn, veges, Fish and fruit. A handful of walnuts is brain food, and sunflower nuts actually dissolves fat, according to Dr OZ. Or safflower oil on your salads or in cooking. But then again, eat what you like if its small portions. I think Joanne is bringing us all back to reality now. Maybe some cleaning will get the body moving. Well there's no doubt that your children will blame you for their problems, so I say eat the chocolate!!! It's a proven fact that dirt aids our immune systems to be stronger. So let the dirt stay in the name of health! I have a cleaning service. It's bloody awesome. But I do have to 'tidy' to make way for the cleaner. Still, it sure as heck beats mopping floors and vacuuming and wiping benches myself! I *really* like your solutions! We all have these insecurities, and I hate to tell you this: they don't go away even after you a)get an offer of representation b) land a book deal c) publish a book. There's always another hurdle, a mess the dog made, a child who thinks you're unfair, a book rejection, an exploding washing machine, and a manuscript you love but you're not sure anyone else will. Especially when chased down with a vodka martini. My favorite saying is "If I can't make you laugh that means we're married." You stopped by my humor blog today and encouraged me. You sound so much like my wife I'm sure you wouldn't laugh at my humor. My wife swears by a organization called Fly Lady. About fifteen very practical and encouraging no pressure e-mails with tips about house keeping, organizing and family hit my mailbox every day. There is no way to read them all but it seems to really help my wife get organized and to direct my son and myself to help more. If it weren't for chocolate my son and I would have either been shot or she would have been put in the state mental hospital a long time ago. Love the solutions. I especially like the "close the door on dirty rooms." I'm good at that, and it works if you have access to lots of drawers too. There are very good reasons not to have a clean house. First of all, a dirty house prepares your kids for college when their rooms will never be clean. By keeping the house dirty you allow their immune systems to prepare for the future. You are a good mom. Also, never ever trash any of your writing. Never. Five years from now you will read the book you set aside and realize what a fabulous chunk of writing you did! Gotta love all the chocolate! And, I realized as I raised 6 children that the only way to get caught up on the laundry was to make everyone go naked for a day. Um . . . never happened. As long as your pets don't need therapy, everything will be all right. I've never tried to write a book, but I do worry about weight. I like your solution. I love all of your solutions, Margo. Of course I'm biased in favor of eating more chocolate. Without it, there'd be no need for elastic, right? Love your attitude and style! You seem to have it under control. Chocolate is a great cure all, isn't it? I can agree with your solutions. Now to check my chocolate supply. Those are all common concerns, Margo. And sometimes I think if focus on one of tthem at a time, we have much better success. At least we HAVE concerns... what if we didn't? Oi.